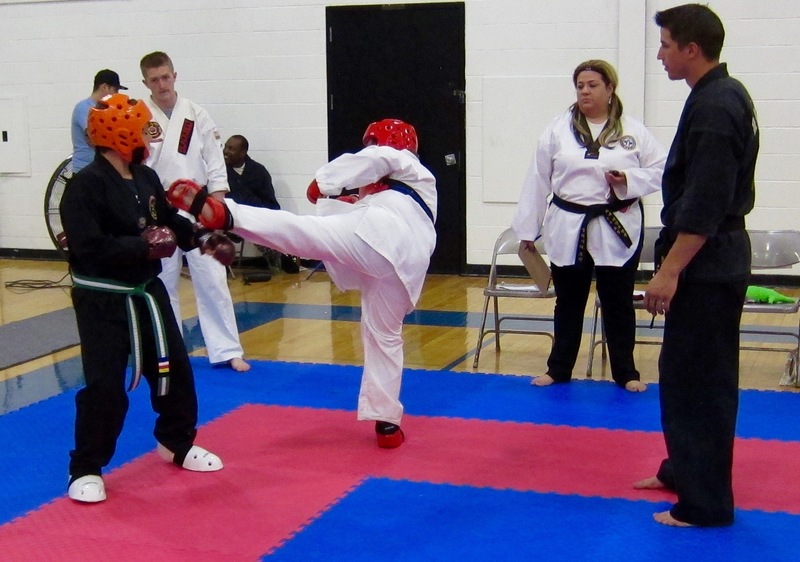 Olney Taekwondo Center (OTC), 233 E Main St in Olney, hosted its bimonthly rank testing at the school Feb. 27. 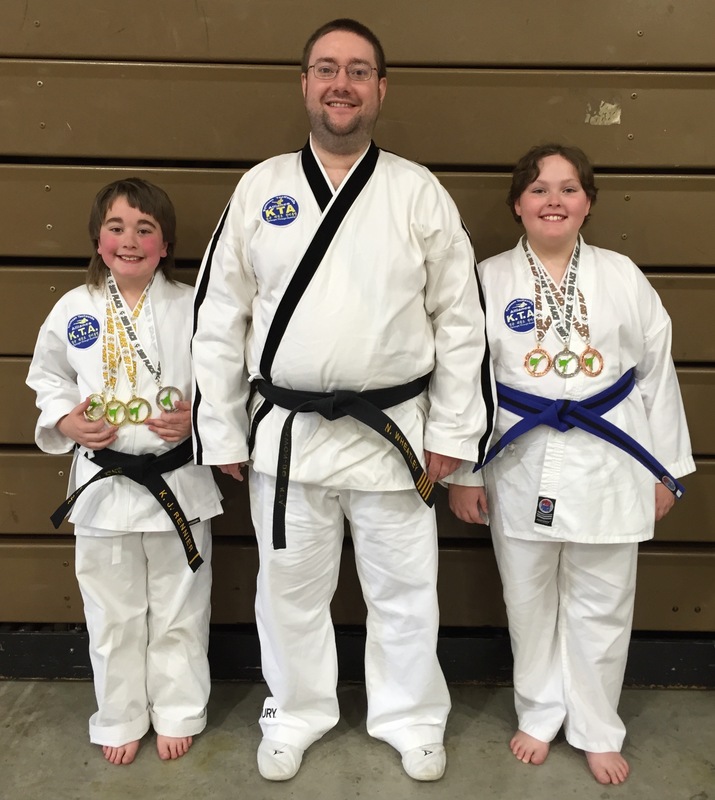 At the event, Lexi Shepherd of Albion received the provisional black belt rank of 1st degree-recommended black belt. After a minimum of six months, she will test for the permanent rank of 1st degree-decided black belt. Colored belt students receiving promotions as a result of this testing were: Mike Stanfield to advanced blue belt; Samuel Lomas, Julia North, Ethan Perkins, Austin Seitzinger and Josiah Taylor to blue belt; Memphis Litaker and Brad Muentner to green belt; Levi Bower, Bentley Gorrell, Caden Hinterscher and Bryer Holtschlag to advanced yellow belt; and Weston Campbell, Brady Westall and Daniel Zhu to yellow belt. In addition, advanced red belt Isaac Zwilling completed a required midterm testing. The judging panel consisted of Master Kevin Roberts, 6th degree black belt from Mattoon, Junior Master Nathan W. Wheatley, 5th degree black belt and OTC chief instructor, and OTC 1st degree black belts Kyle Rennier, Conner Holtz and Connor Summers. All testing panels must include at least two certified instructors. More pics available on Facebook. 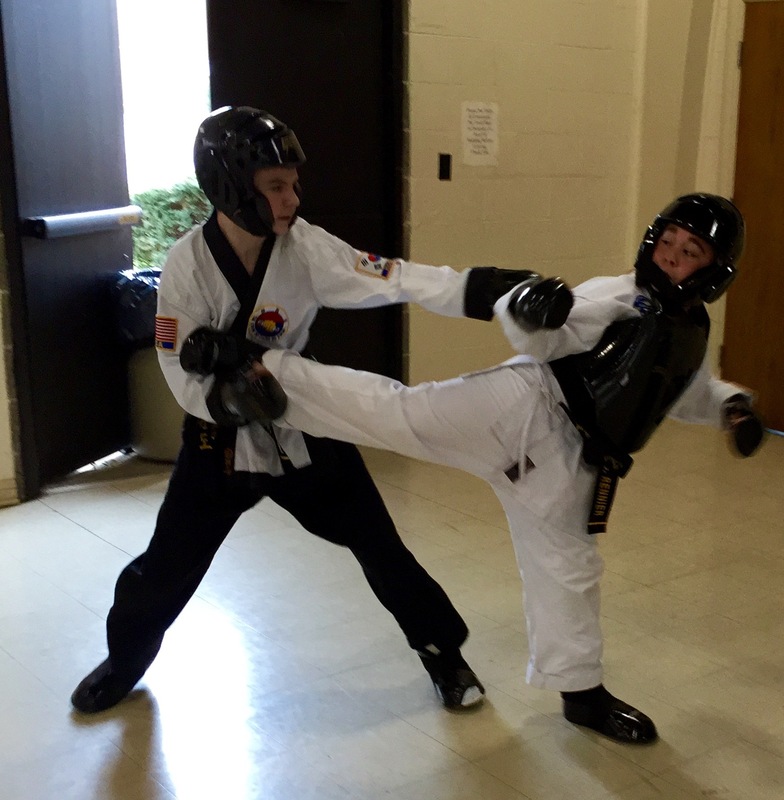 Olney Taekwondo Center (OTC), 233 E Main St in Olney, hosted its bimonthly rank testing at the school Oct. 10. 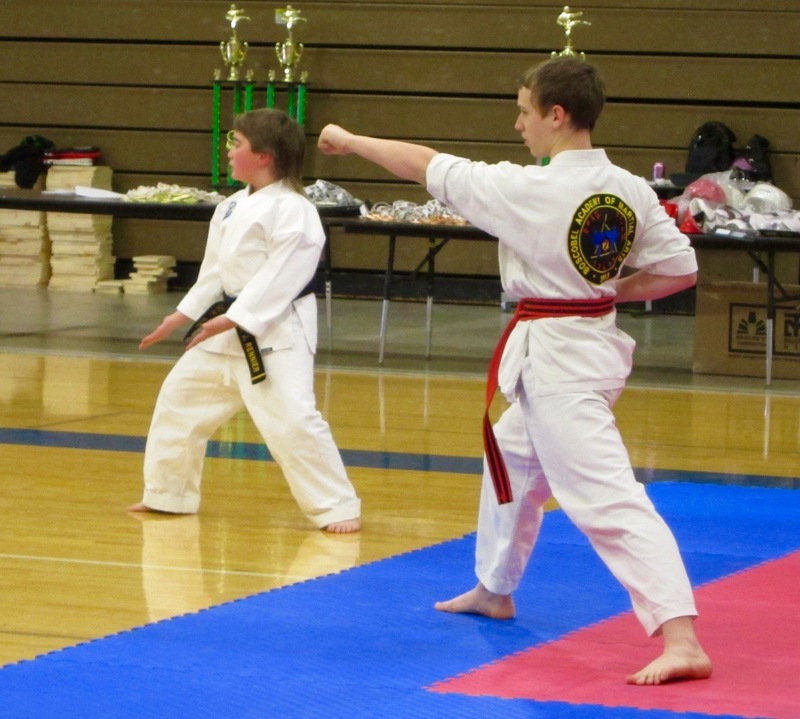 At the event, Cooper Fehrenbacher of Olney successfully tested for the rank of 1st degree black belt. Colored belt students receiving promotions as a result of this testing were: Tyler Hinkle, Lexi Shepherd and Isaac Zwilling to advanced red belt decided; Evan Irvin to advanced red belt recommended; Trenton Payne to blue belt decided; James Kilduff to blue belt recommended; Mike Stanfield to advanced green belt; Stephani Carl, Samuel Lomas, Ethan Perkins, Austin Seitzinger and Josiah Taylor to green belt; Brock McVaigh and Julia North to advanced yellow belt; and Bentley Gorrell, Bryer Holtschlag, Memphis Litaker and Brad Muentner to yellow belt. The judging panel consisted of Master Kevin Roberts, 6th degree black belt from Mattoon, Junior Master Nathan W. Wheatley, 5th degree black belt and OTC chief instructor, and OTC 1st degree black belts Kyle Rennier and Connor Summers. All testing panels must include at least two certified instructors. Join us! Click here for your FREE trial. Olney Taekwondo Center (OTC), 233 E Main St in Olney, hosted its bimonthly rank testing at the school Aug. 8. At the event, Conner Holtz and Connor Summers, both of Noble, successfully tested for the rank of 1st degree black belt. Both have been studying at the school for over 3 years. Colored belt students receiving promotions as a result of this testing were: Lexi Shepherd to advanced red belt recommended; Evan Irvin to red belt decided; Owen Meadows and Trenton Payne to blue belt recommended; Mike Stanfield to green belt; Jakob Ecker, Samuel Lomas, Ethan Perkins and Josiah Taylor to advanced yellow belt; Levi Bower, Jack Davis, Brock McVaigh and AJ Padilla to yellow belt. The judging panel consisted of Master Kevin Roberts, 6th degree black belt from Mattoon, Junior Master Nathan W. Wheatley, 5th degree black belt and OTC chief instructor, and Junior Master Bill Feltt, 5th degree black belt from Charleston. All testing panels must include at least two certified instructors. More pictures available on Facebook. 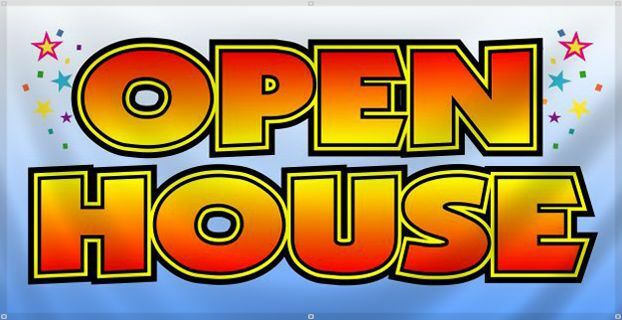 Olney Taekwondo Center (OTC), 233 E Main St in Olney, hosted its bimonthly rank testing at the school June 13. Students receiving promotions as a result of this testing were: Isaac Zwilling to advanced red belt recommended; Evan Irvin to brown belt decided; Owen Meadows and Trenton Payne to advanced green belt; Austin Seitzinger and Mike Stanfield to advanced yellow belt; and Jakob Ecker and Ethan Perkins to yellow belt. The judging panel consisted of Junior Master Kevin Roberts, 5th degree black belt from Mattoon and Junior Master Nathan W. Wheatley, 5th degree black belt and OTC chief instructor. All testing panels must include at least two certified instructors. MATTOON — Olney Taekwondo Center (OTC) chief instructor Master Nathan Wheatley and three local black belts completed a high rank training seminar here April 12. Along with Wheatley, black belts Kyle Rennier, Conner Holtz and Connor Summers, all of Noble, participated in the seminar. Master Dan Valin, 7th degree black belt from Elgin, Master Matthew Boyer, 6th degree black belt from Wentzville, Mo., and Master Kevin Roberts, 5th degree black belt from Mattoon, provided instruction in topics including forms, self-defense, board breaking, sparring, and long staff. The seminar, which was jointly hosted by Kyumson Taekwondo Alliance (KTA) and Midwest Martial Arts League (MMAL), attracted 45 participants from Illinois, Indiana and Missouri. Check out more pictures from this event on Facebook. Ready to train for your black belt? Click here for your FREE trial. 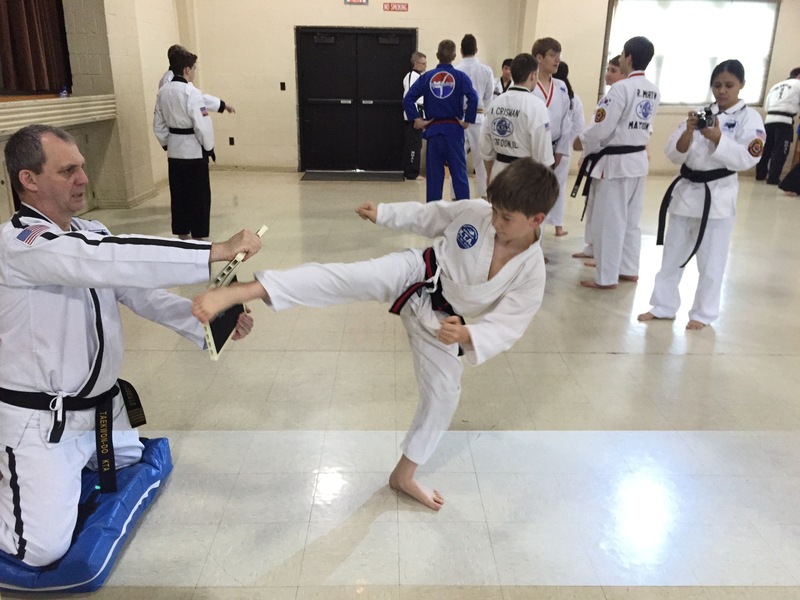 Olney Taekwondo Center (OTC) hosted the Southern Illinois Invitational Tournament March 14 at St. Joseph School in Olney. 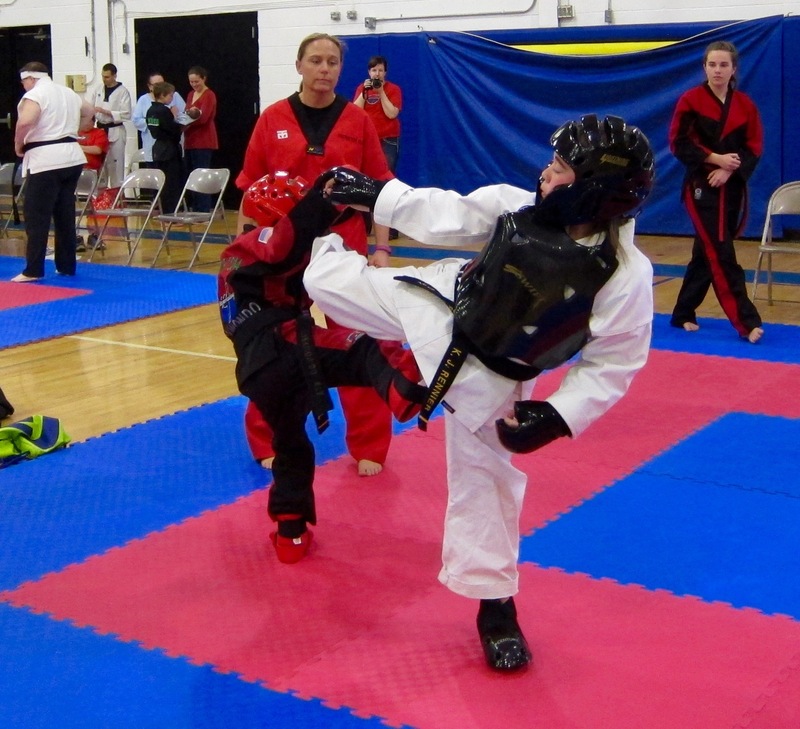 The invitational competition attracted over 60 competitors from eight area taekwondo schools. Competitions included forms, sparring, weapons and board breaking. 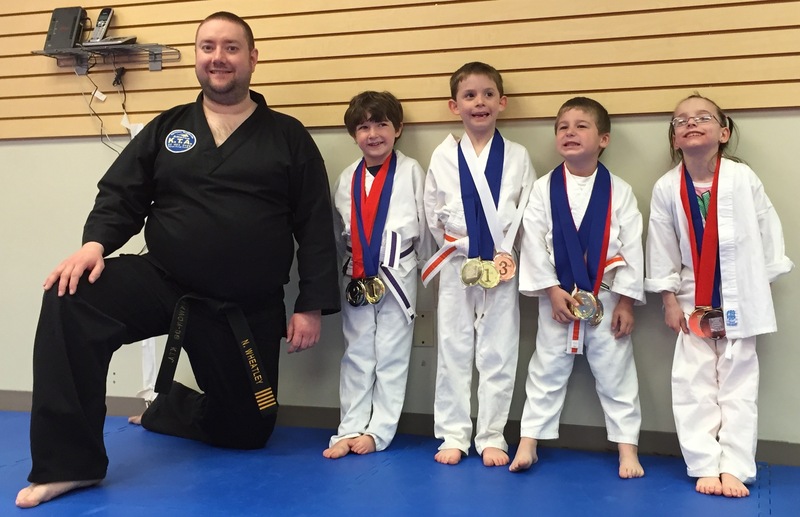 Local students placing in forms: Memphis Litaker, 1st place in the pre-TKD age 6 division; Austin Kuenstler, 1st place in the pre-TKD age 4-5 division; Kyle Rennier, 2nd place in the advanced age 8-10 division; Cylas Dickerson, 2nd place in the pre-TKD age 4-5 division; Evalynne Earp, 2nd place in the pre-TKD age 6 division; Cooper Fehrenbacher, 3rd place in the advanced age 8-10 division; and Evan Irvin, 3rd place in the intermediate age 8-10 division. 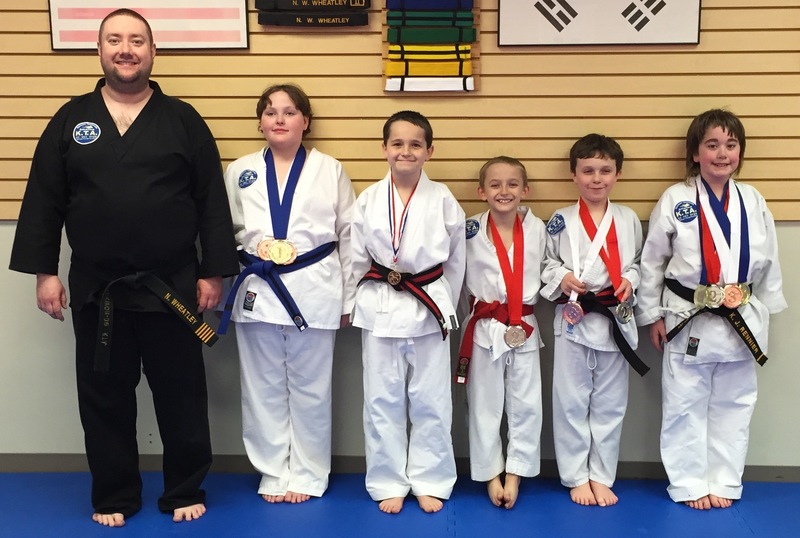 Local students placing in breaking: Kyle Rennier, 1st place in the junior advanced division; Memphis Litaker, 1st place in the pre-TKD age 6 division; Austin Kuenstler, 1st place in the pre-TKD age 4-5 division; Tyler Hinkle, 2nd place in the junior advanced division; and Cylas Dickerson, 2nd place in the pre-TKD age 4-5 division. Local students placing in weapons: Evan Irvin, 1st place in the colored belt division, and Kyle Rennier, 3rd place in the black belt division. Local students receiving honorable mention in their respective divisions: Connor Summers, Isaac Zwilling, Owen Meadows and Trenton Payne. Ready to compete? Click here for your FREE trial. 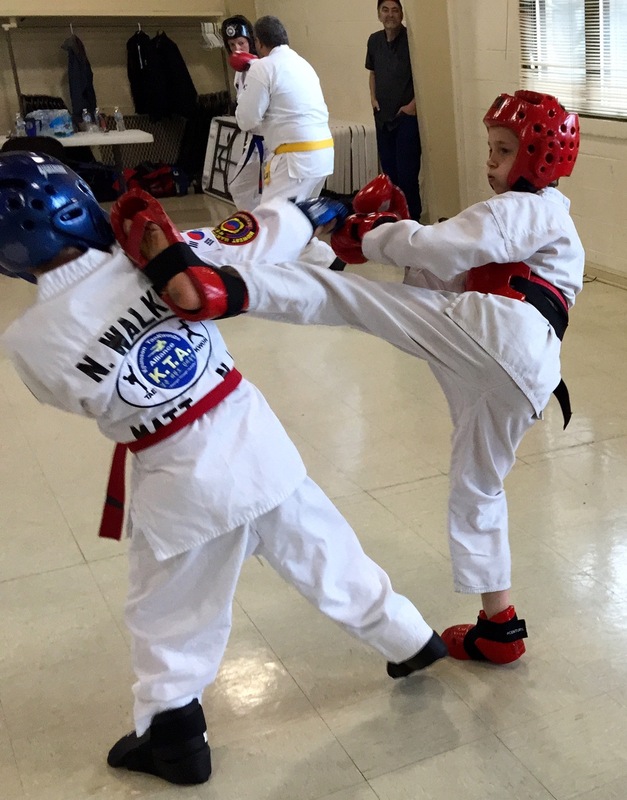 Olney Taekwondo Center (OTC), 233 E Main St in Olney, hosted its bimonthly rank testing at the school Feb. 21. At the event, Cooper Fehrenbacher of Olney received the provisional black belt rank of 1st degree-recommended black belt. After a minimum of six months, he will test for the permanent rank of 1st degree-decided black belt. 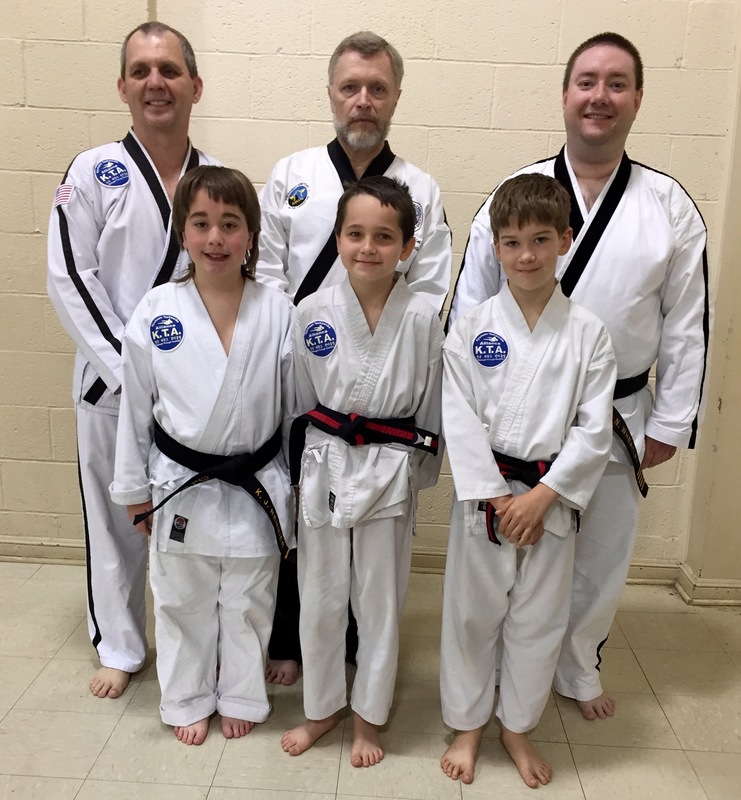 Also, 1st degree-recommended black belts Conner Holtz of Noble and Reid Snyder of Olney successfully completed midterm testings required before testing for 1st degree-decided black belt. Colored belts receiving promotions as a result of this testing were: Tyler Hinkle to red belt decided; Isaac Zwilling to red belt recommended; Xander Holtz to brown belt recommended; Evan Irvin to advanced blue belt decided; Quinn Patterson to blue belt recommended; Adrianne Leighty to green belt; Owen Meadows and Trenton Payne to advanced yellow belt; and Michael Merriam to yellow belt. The judging panel consisted of Junior Master Kevin Roberts, 5th degree black belt from Mattoon, Junior Master Nathan W. Wheatley, 5th degree black belt and OTC chief instructor, and Junior Master Bill Feltt, 5th degree black belt from Charleston. All testing panels must include at least two certified instructors.